For your sweetheart or anyone special. 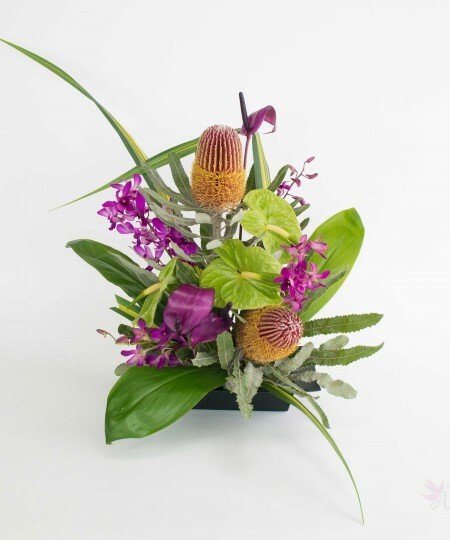 Send stunning green midori anthuriums with rich purple orchid sprays. 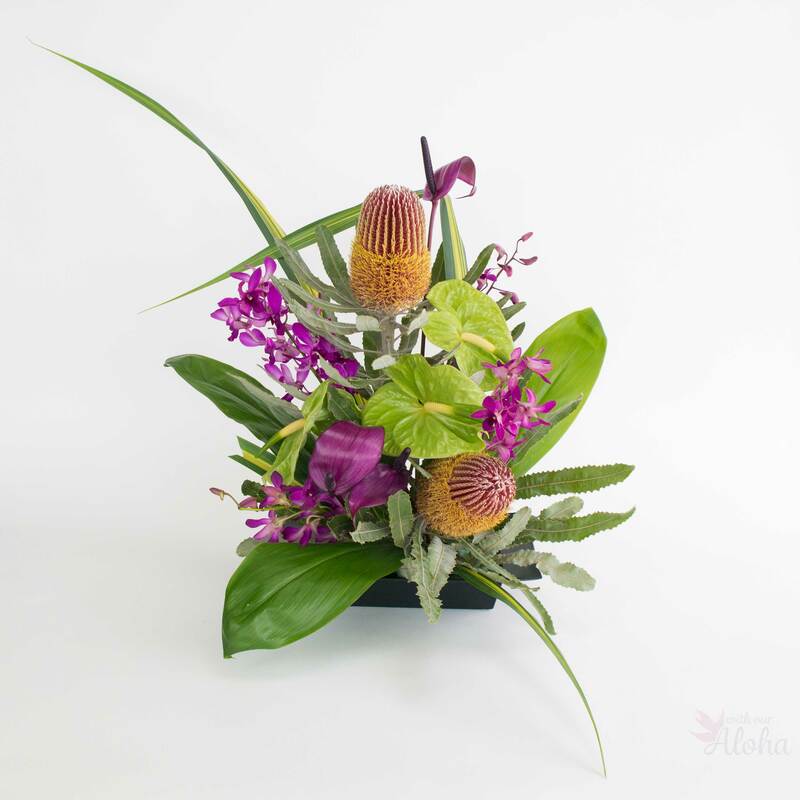 Purple arc tulip anthuriums mix with exotic green banksia. A perfect combination of natural color with greenery for an impressive display. 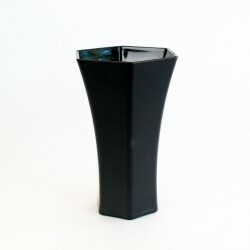 This makes a lovely arrangement for your own home or as a gift. Banksia are a large, cone-like member of the protea family. The color is a purplish red. Banksia have a somewhat fuzzy appearance and texture. These are the largest flowers in this assortment. We get banksia from farms located on the island of Maui. Purple arc anthuriums are a smaller, tulip like flower. The color is a very deep purple. They come on a long, slender stem and can be cut to any length. 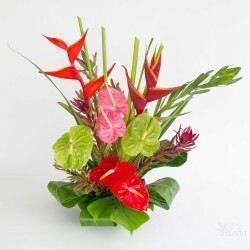 Midori anthurium are a bright, natural green. Midori means ‘green’ in the Japanese language and has been adopted as the name for this flowers. 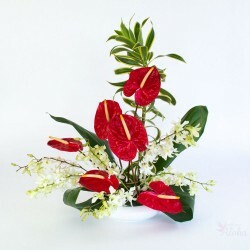 While less common than red anthurium, midori are beautiful and last a long time. 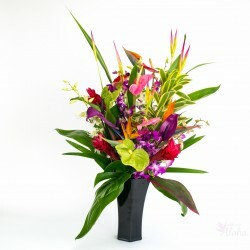 The green color complements the deep color of the purple arc anthuriums. 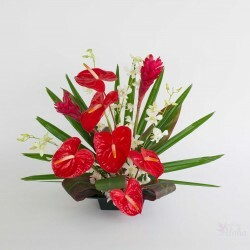 And what Hawaiian flower arrangement would be complete without orchids? 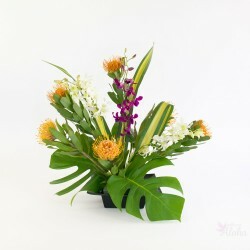 We’ve added an assortment of dendrobium sprays for a more delicate touch. The greens and purples all come together in a heart warming assortment. 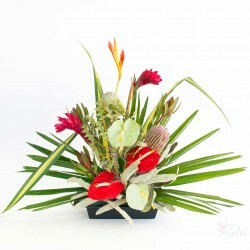 Variegated green and yellow hala leaves complete your tropical mix. And of course you can fill in with deep green, wide ti leaves. 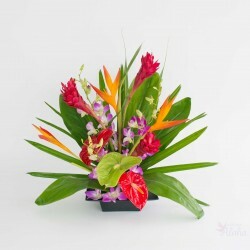 Any Hawaiian flower lover will adore your gift of flowers. 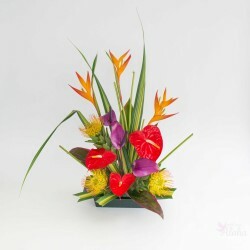 They will arrive boxed with full stems ready to be arranged. 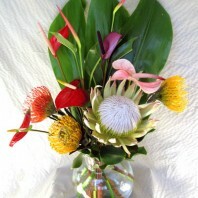 If banksia are seasonally unavailable we will substitute a comparable Hawaiian flower. Comes as full length stems to be arranged. Last minute orders may receive substitutions. If Maui banksia are sold out or out of season we will substitute with exotic gingers or other interesting flowers. 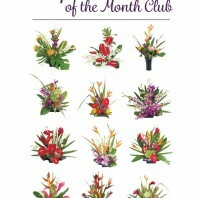 This is our Flowers of the Month selection for April.